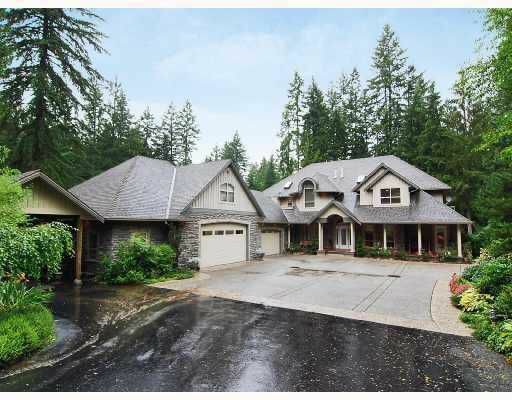 Custom built 2 storey dream home w/an attached 2450 sf garage on 1.37 acres backing onto the Alouette River! Professionally landscaped yard includes a beautiful water feature & full inground sprinkler system! Inside this immaculate one ofa kind home you will find 22' vaulted ceilings, huge windows, real hardwood flooring & incredible tile work throughout! 7 bathrooms!! You will not be disappointed!